Wooden siding is a great siding choice as it gives the home a look and feel like no other. Unfortunately, when you have wooden siding on your home it also comes with a lot of maintenance needs. Keeping the siding looking great and performing as it should means you’ll need to do regular maintenance on the siding. 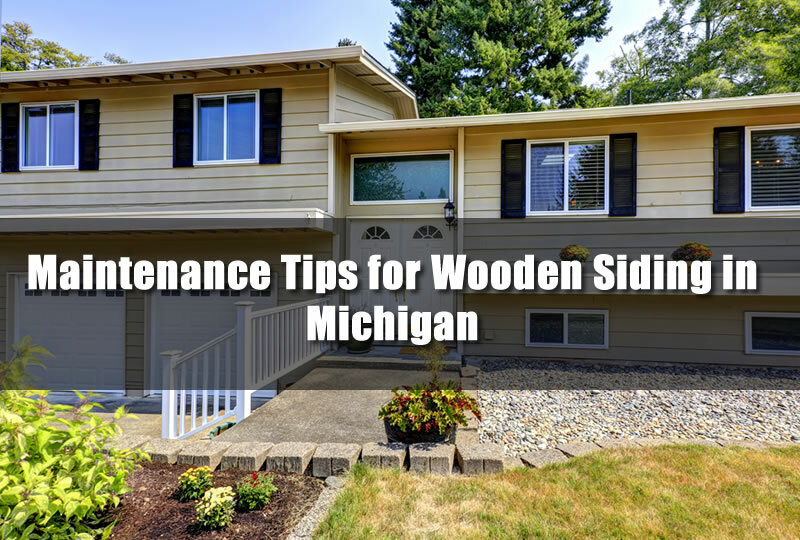 In this article I’ll give you some tips on maintaining your home’s wooden siding in Michigan. There are many different types of wooden siding that can be installed on your Michigan home and the maintenance procedure isn’t the same for all. For instance, a home with bare cedar shake siding doesn’t need painting while wooden lap siding does need regular painting. Whenever there is a conflict on what you should do with your siding and you’re not sure be sure to seek the help of a siding contractor in Michigan. Having a qualified siding contractor with experience in wooden siding can really help when it comes to keeping your siding in good working order and protecting your home as it should. One of the biggest problems that home owners face when it comes to their wooden siding is that once it’s installed on their homes they basically forget about it. For vinyl siding and fiber cement siding that would be okay but for wooden siding it pays to keep a close eye on it. Having a regular maintenance schedule can insure your home’s siding looks great for years to come. So that you don’t forget about your siding, it’s best to set aside a time of year that you do an annual inspection. Walk around your home looking for signs of damage to the home. You can also take this time to clean the siding and remove any stains that may have gotten on the siding. Look at the siding and see if there is paint peeling away or nails that are protruding out of the siding. Any nail heads or screws that you see on the siding should be flush or level with the siding. On most siding the nails are covered by each piece of siding that is added. Look for signs of insect damage and rotting wood. In either case if you find any damages you’ll want to make sure a siding contractor comes out to replace any problem spots. If the paint is starting to peel away from the siding it’s also important to get it painted. it’s best to set aside a time of year that you do an annual inspection. If the paint is peeling away from the siding it can be a much more difficult job to paint the home. As more paint starts to peel away you’ll need to remove that paint by scraping the siding. Allowing the siding to peel more means you’ll likely pay more for the paint job and also it can have an effect on how the siding looks afterwards. 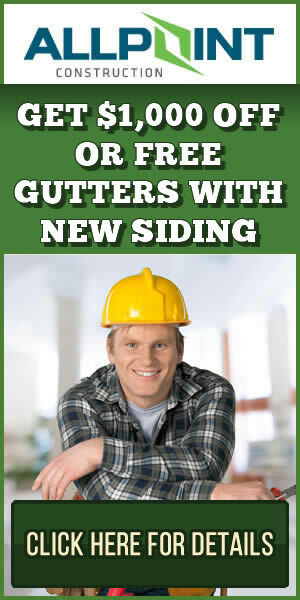 Whenever you determine there is a problem with your siding it’s important to get it repaired as quickly as possible. You may also have damages on the inside of your home with some of the problems you can find. As you make an inspection on your wooden siding you may notice areas where there are stains. Cleaning stains from the siding will determine what caused the stain. For more stains a general cleaning solution with soft bristle brush can clean it. Make sure you spray the area off with a garden hose to remove any of the chemicals from the spot. Pressure washing the home can lead to paint being blasted off the home by high pressure so use caution if you’re pressure washing the home as it’s not really recommended with wooden siding in Michigan. Having wooden siding on your home can give it warmth and a look that many other types of siding mimics. The maintenance that goes along with that siding is what puts most people off about it however. Whenever you have a problem with your siding you’ll need to make repairs to it as quickly as possible to keep the damage from going to other areas. For home owners in Ann Arbor Michigan that need siding work done be sure to contact Ann Arbor Remodeling Contractor for a free estimate on siding projects in Michigan.